You can use this mnemonic to remember group 1 elements of periodic table. 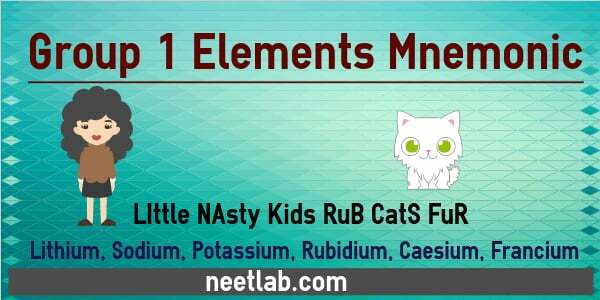 LI in Little represents Lithium, NA in Nasty represents symbol of Sodium(Na), K in Kids represent symbol of Potassium(K), R and B in Rub represents symbol of Rubidium(Rb), C and S in Cats represents symbol of Caesium(Cs). F and R in Fur represents symbol of Francium (Fr).